With less than four years to go for the official start of the 2022 FIFA World Cup in Qatar, things are getting to heat up on the organisational front. The tournament has entered delivery mode with the launch of a new joint venture between Qatar and the world football body to organise the event, reported the Supreme Committee for Delivery and Legacy website (SC). The ‘FIFA World Cup Qatar 2022 LLC’ (joint venture) was unveiled as the body responsible for delivering the first World Cup in the Arab world after the management board met for the first time in Doha yesterday. The new delivery model will capitalise on the planning expertise the SC has built up since winning the right to host the tournament in 2010. While the joint venture focuses on tournament delivery, the SC will continue to manage the development of event infrastructure, along with the various legacy programmes, reported Gulf Times. Hassan Al Thawadi will combine his role as SC Secretary-General with Chairman of the joint venture. “The formation of this new joint venture comes at a strategically important time on Qatar’s World Cup project as we complete our various infrastructure projects, such as stadiums and training sites, and turn our attention to finalising the unique fan and player experience that Qatar 2022 will provide,” he was quoted as saying by Gulf Times. “Qatar’s World Cup project is entering its final phase, and we’re all pleased to launch this new organisation and collectively develop the best possible operational plans for 2022. “In less than four years, we’ll welcome the participating teams and over one million fans to Qatar for the world’s biggest single-sport event. It’s the work we do now which will ensure the experience we deliver is unlike anything previously witnessed at a tournament. I look forward to leading this innovative joint venture with FIFA and the work it will be undertaking in the years to come,” said Nasser Al Khater, who is the SC’s chief of Tournament Readiness & Experience Group and CEO of the joint venture. 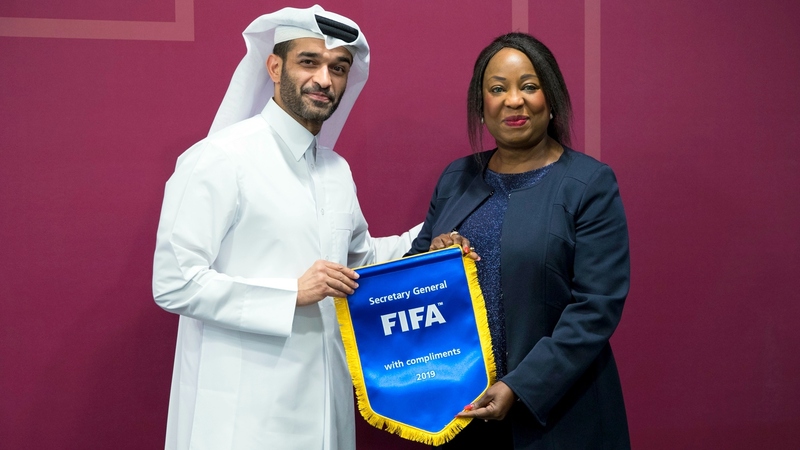 The management board of the new entity will be composed of FIFA’s Secretary General Fatma Samoura, FIFA’s two Deputy Secretary Generals Zvonimir Boban and Alasdair Bell, FIFA’s Chief Tournaments & Events Officer Colin Smith and FIFA’s Chief Legal Officer Emilio Garcia Silvero as well as Al Thawadi, Al Khater, Vice Chairman of Technical Operational Office Eng. Yasir Al Jamal and Qatar Football Association Vice President Saoud Al Mohannadi. acchbaa, u r making fool of urself in every topic, r u ok ??? How much ticket pricing will be.